18h MX/01h CET: Andry Moom. 19h MX/02h CET: Eric de la Vega. 20h MX/03h CET: Mau Orozco. 21h MX/04h CET: Ronald Garcia. 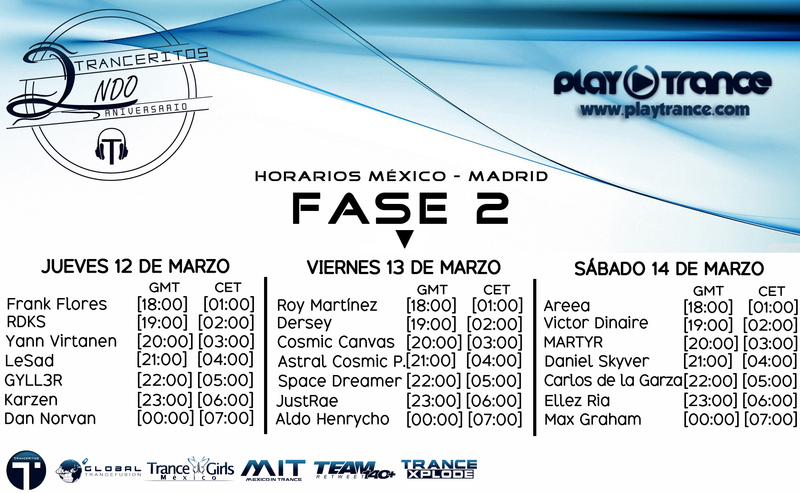 22h MX/05h CET: Jhony Castle. 23h MX/06h CET: Gonzalo Bam (Residente). 19h MX/02h CET: Gabrielle AG. 21h MX/04h CET: Vidal Lara. 22h MX/05h CET: Seif & Paula. 23h MX/06h CET: Muzik Dealerz. 18h MX/01h CET: Mark van Ray. 19h MX/02h CET: Joaquín González. 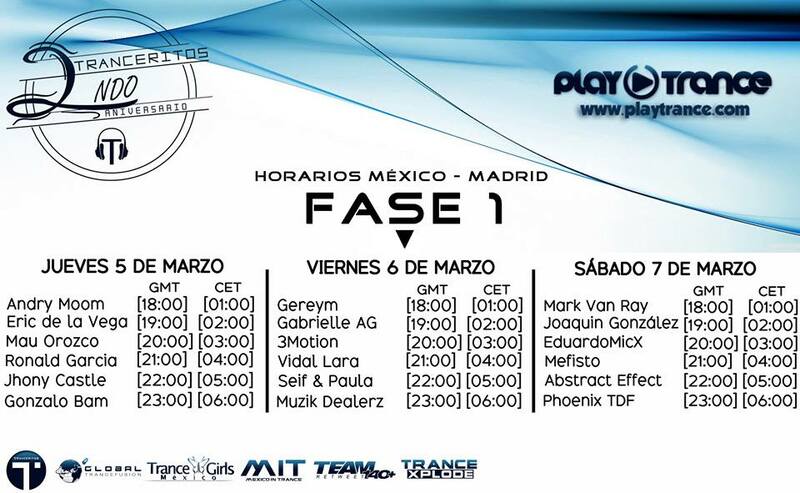 22h MX/05h CET: Abstract Effect. 23h MX/06h CET: Phoenix TDF.